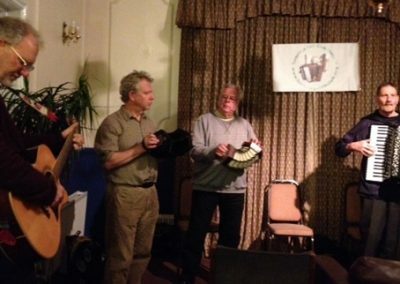 Tonbridge Folk Club (Nellie’s) meets on the first and third Mondays of each month from 8-11 pm. Most nights are now guest nights but sing-arounds are held occasionally. Evenings usually begin with a few tunes (based mainly on the Lewes Arms tune book and, more specifically, those favoured by our friends in The Travelling Folk). These are followed by floor singers, and, on guest nights, the guest. After a short interval (with a raffle to help towards the club’s running costs), the pattern is repeated in the second half. On singers’ nights we like to devote the last hour to tunes and chorus songs so everyone can join in. On guest nights a hat collection is taken for the guest and a contribution of £7 (£5 concessions) is suggested. Musicians and singers are welcome and encouraged to perform and join in, but it’s not compulsory! You are welcome to come along and just listen. We do have a traditional bias but contemporary contributions are welcome. If you’re planning to visit the club from afar you’re welcome to contact us to introduce yourselves, but there is no need to pre-book floor spots. We arrange those on the night and usually manage to fit everyone in at least once. Paul Stepto is a singer-songwriter and guitarist, and a master of contemporary social and cultural satire. Paul has a CD Tbl. He also performs with Pete Metcalfe, with whom he has released the Stuff CD. Pete Metcalfe & Paul Stepto Facebook page. John and Di Cullen have been described as “an inspirational music partnership” performing contemporary and traditional material with harmony, humour, guitar and bowed psaltery. First CD, Moonlighting, is available plus their second, Two for the road, will be released November 2015. Malcolm Ward is a keen shanty singer and concertina player and has performed at festivals including the Harwich Sea Shanty Festival. Bob Kenward is a prolific author of songs and poems aimed at creating a ‘modern tradition’ for Kent. His song ‘Man Of Kent’ is known popularly as the ‘Kent Anthem’. His songs are available on two CDs: Man Of Kent (1998) and The Straggling Bine (2002). Bob entertains on vocals, guitar, mandolin and harmonica all over the country at clubs and festivals. The variety of his set has to be seen to be believed! Roger Resch is a singer and accordion player. He has a large repertoire of mostly traditional songs, and a special attachment to the songs of the Copper family. 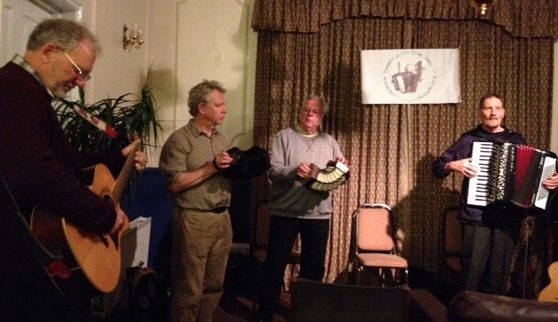 He forms, with Bob Kenward, the The Wealden Ramblers, and is also a member of the sea song group, Impressed. 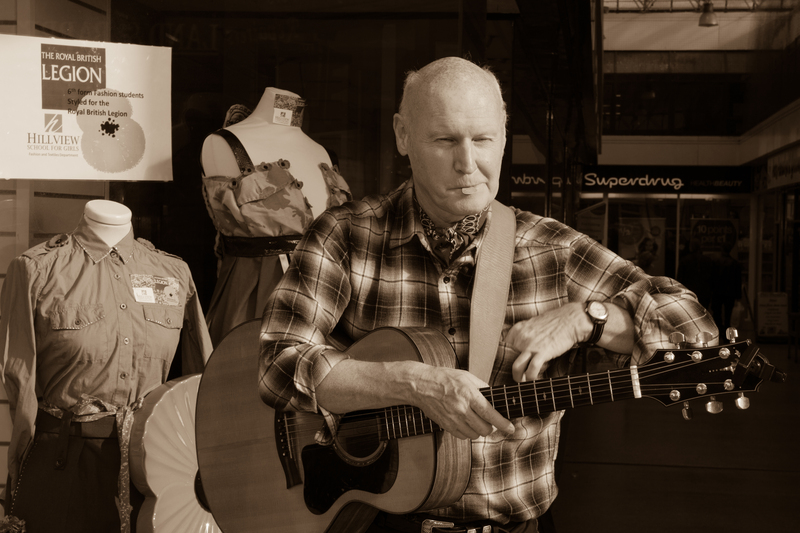 Originally from Leicester and inspired by the song-writing of Bob Dylan and Joni Mitchell and the guitar playing of Davy Graham and Bert Jansch, Pete Metcalfe has played both solo and in bands. He teaches guitar from his studio in Southborough where he also writes and records. A: Although we describe ourselves as a “club”, there is no membership as such, although we do of course have regular supporters. All are welcome upon payment of the hat contribution on guest nights. A: Sessions are held in an upstairs room so children are welcome provided they are accompanied by an adult throughout the evening. Q: Do I have to book a floor spot? A: Floor spots are arranged on the night at the discretion of the MC. Just have a word if he hasn’t approached you first. If you are making a special visit you are welcome to drop us an email and we’ll look out for you but this isn’t necessary. Q: Can I sing or play any type of music? A: We are fairly liberal in our interpretation of what constitutes folk music, embracing traditional and contemporary, music hall and other vintage material, singer-songwriter etc. Q: Is there a PA? Q: Can I use amplification? A: Some guest groups have brought their own amplification equipment for sound balancing, but we don’t generally expect amplification and do not provide any. Q: Do you mind if I sing from a written text? A: This is discouraged, especially on guest nights. A: We begin each set with a set of tunes and the audience is welcome to play along with these. You should not, however, give instrumental accompaniment to guests or floor singers unless they specifically request it.